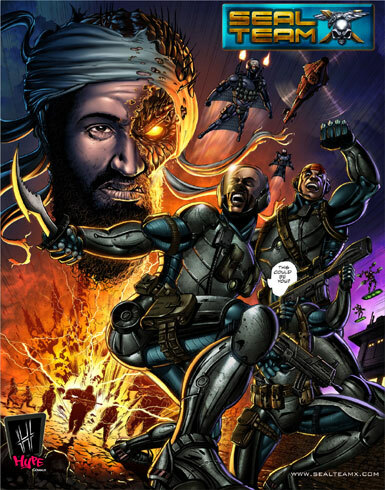 HomeDigital ComicsHype Comics Shoots Bin Laden With Seal Team X! In July 2011 Hype Comics bring a lucky reader the chance to be the person who shoots Bin Laden in the new comic – Seal Team X! About the Seal team which defeats and kills Osama Bin Laden the title is available on the Kindle, Nook and iPad this July.